This was a fun week and I was so inspired your Painted Halloween Projects. I hope you can pin these for next year. I am so honored that you came to The CSI Project to share. The creativity is amazing! Our guest judge, Robin from Garage Sales R Us, had the most difficult job picking the winners. I think she did a fantastic job though! Here is what she said about her judging experience. I loved being a guest judge because I have so many new ideas of ways I can decorate my house really cute for very inexpensive! 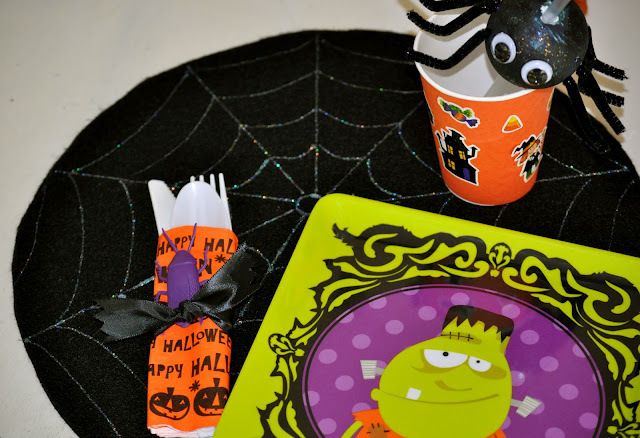 I wish Halloween weren’t over so I could hurry and do these projects and make my house look cute! She had the hard task of selecting the winners, so let’s see how she did. This week, we only have 6 winners so let’s get to them! And the winners are……drum roll, please….. I find pumpkins like these all the time at garage sales but I always pass them up because I don’t know what to do with them. I love this project. I Loved the way she stacked them on top of each other and I thought the wood letters on the outside added the perfect touch! I also have a large pot out front of my house and never know what to do with it. 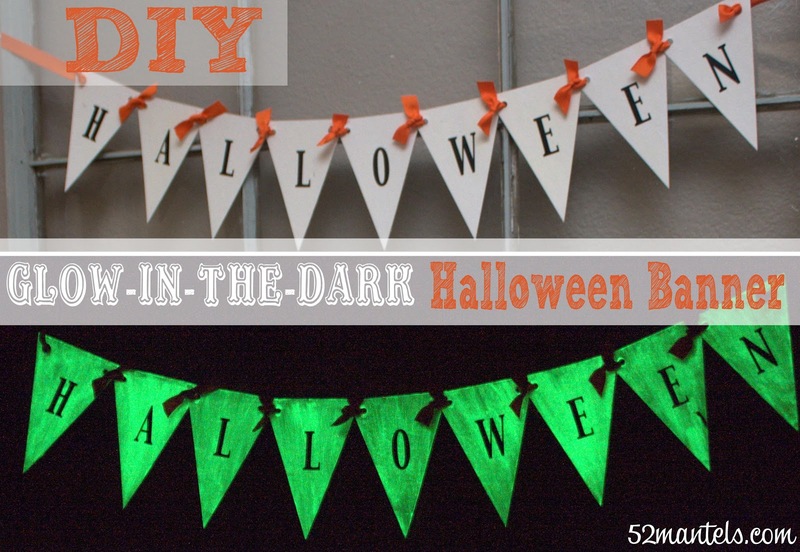 I will be using this idea in my decorations for next year! Love that it’s Glow in the Dark!!!!!!!!! That is Awesome! I love having countdowns till holidays because it helps kids get excited for the holidays. This sign was too dang cute for me to pass up too! I am a sucker for the kids crafts! My daughter would have so much fun with this. I also love that it’s a straw decoration and they can use it after they are done making it! So much fun for the kids!!! 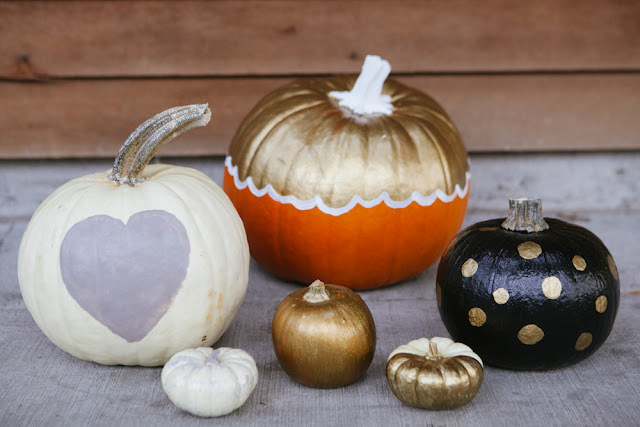 I just love the way painted pumpkins look and she was so creative with hers! I love that this was a project that the kids could do! I am always looking for ways to entertain my girls. They would have loved this! I love how cute this is! Perfect for outdoor Halloween decor! Thank you to Robin from Garage Sales R Us for being this week’s guest judge and making those incredibly difficult picks. Being a judge is not an easy gig. Be sure to go by and visit her blog daily! Be sure to come back next week for the Craft Cornucopia: Button Challenge. This is sure to be a great week! Come back next week for even more inspiration!!! 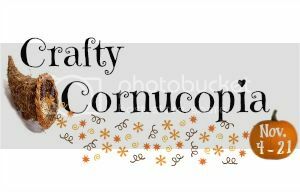 Also, look for the Crafty Cornucopia next week. I am teaming up with some of my favorite bloggers!!! Be there! Thanks so much for featuring my pumpkins my daughter & I made! She is so proud to have contributed to this project! And I told her that you liked it so much it was featured.